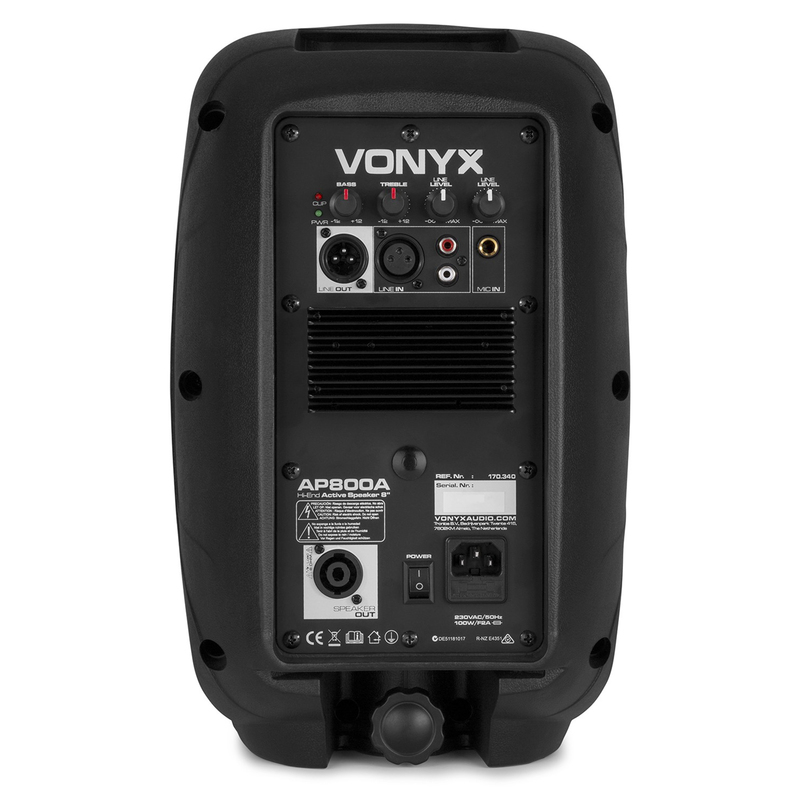 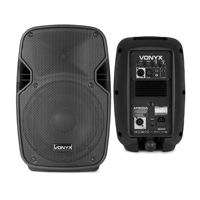 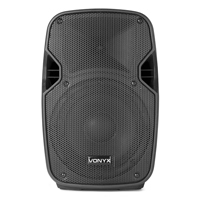 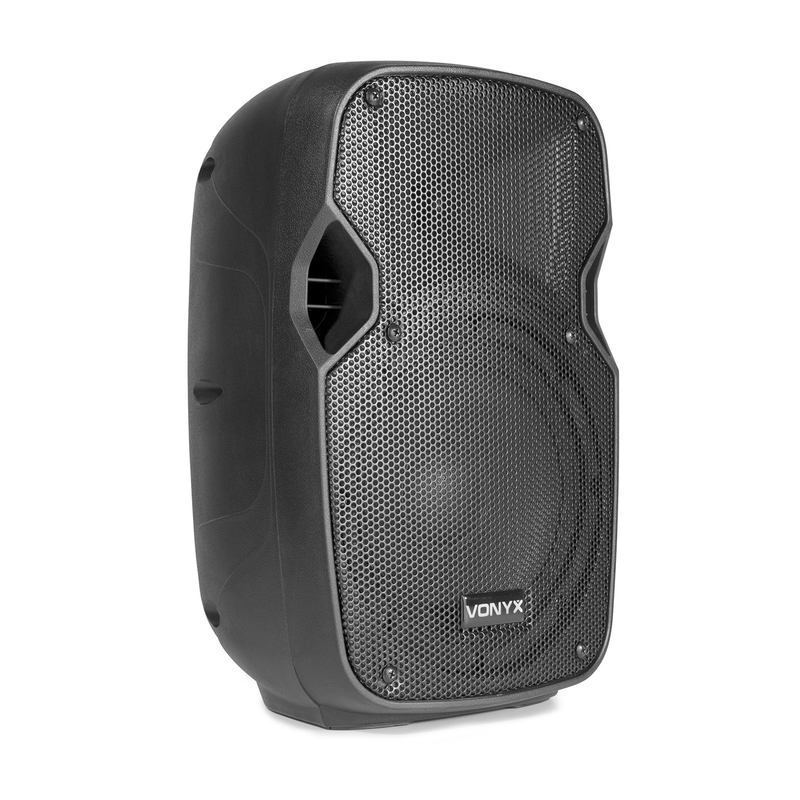 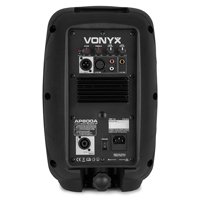 Industry professionals, Vonyx bring us the small but powerful AP800A, that boasts a max power output of 200 watts and an 8 inch woofer main driver. 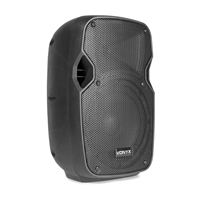 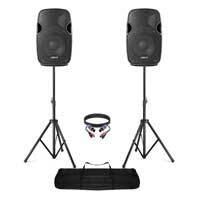 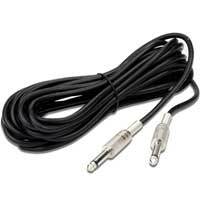 A speaker ideal for PA applications and similar, stand-alone, great in pairs and daisy chainable via the line output. The AP800A is an 8 inch speaker, in a strong ABS cabinet, featuring a high quality 200 watt built-in amplifier for excellent sound reproduction and a tremendous performance. 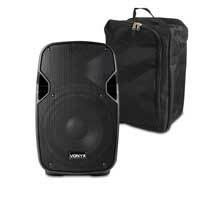 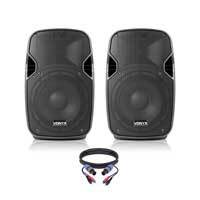 A powerful mid-low woofer and a high compression dynamic horn-driver. 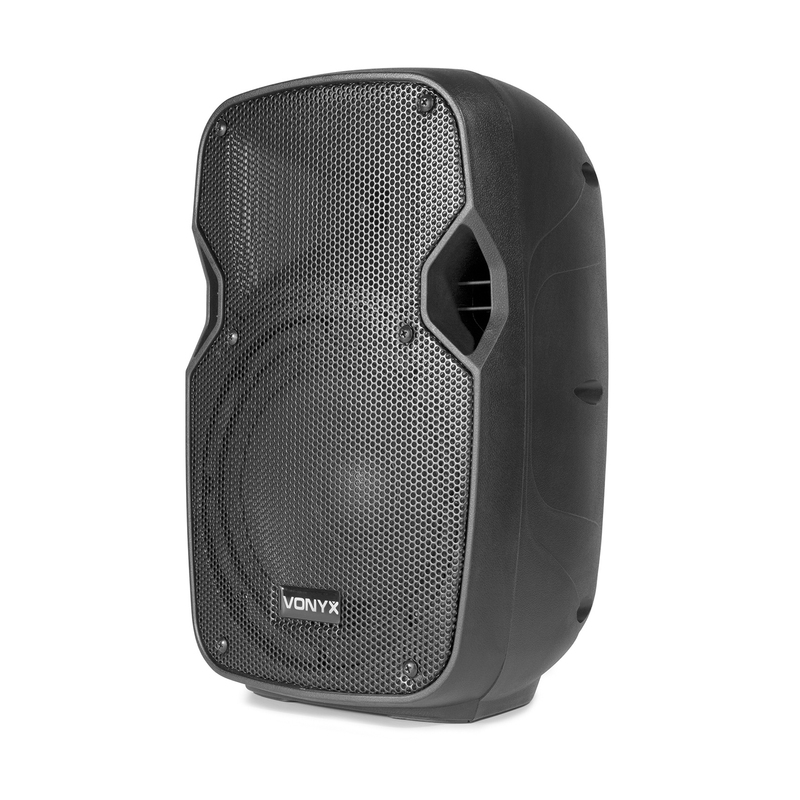 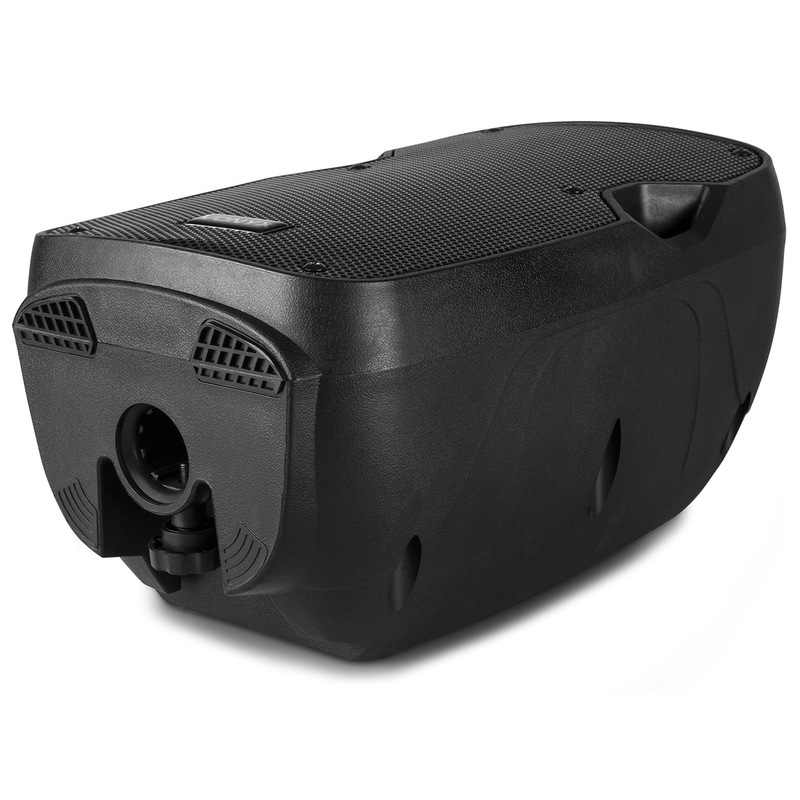 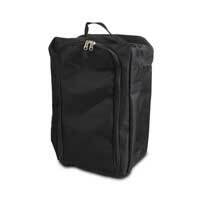 A line in for external audio source such as mp3 players or laptops, a 1/4 inch jack for microphone input and a line output for daisy chaining of additional speakers, all fitted within this compact but strong, powerful speaker cabinet.